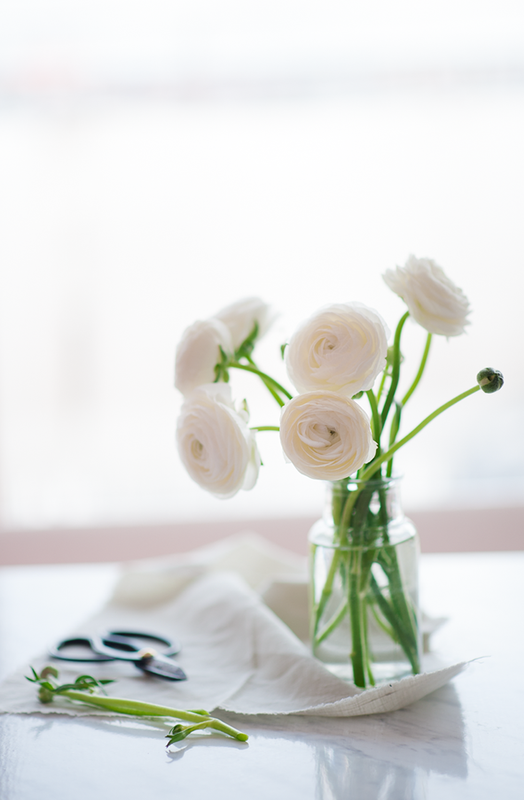 Let me share with you my beautiful part of the day – few white ranunculus. I admit that this is one of my most favorite flowers – just like the peonies, snowdrops and the rose bushes. Unfortunately to find these pretty flowers in Prague is very difficult, but today I got lucky. Ranunculuses are my favourite flowers! Love them. I chose them to my wedding bouquet (but in pink). Very hard to find also in Portugal, and expensive as well. 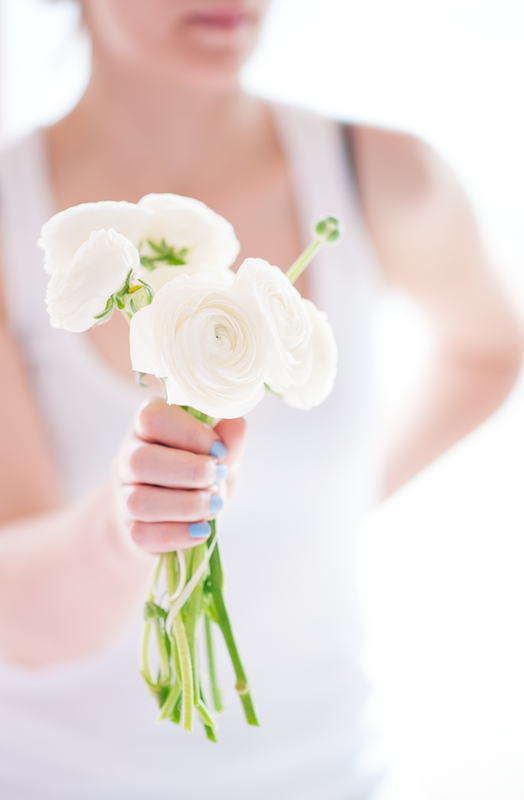 hello milly, great choice for bridal flowers. hey filipek :) thank you. Ranunculuses together with Peonies are my fav flowers! I had dark purple ranunculuses on my wedding!